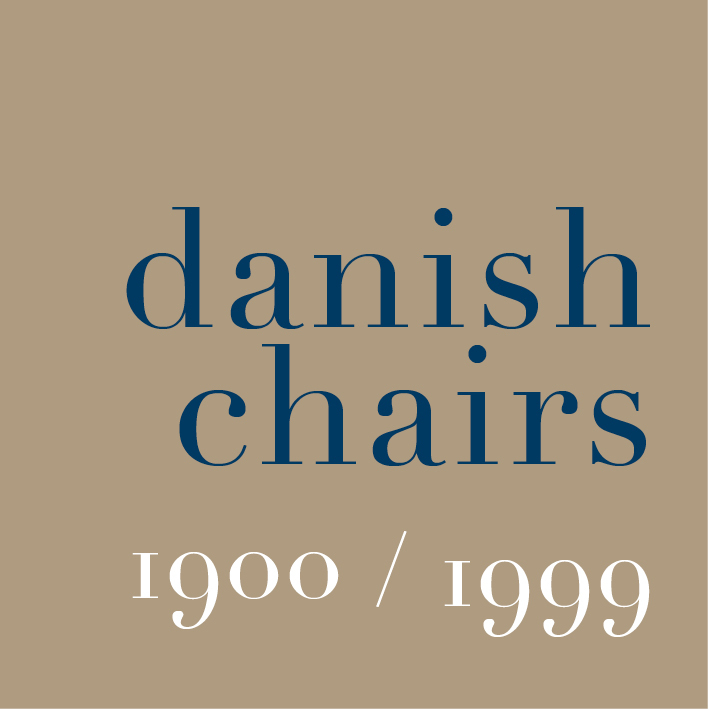 In an initial room there is a short assessment of the place of iconic chair designs in Danish design history with early and foreign chairs, including a Shaker chair from America, that put these designs into a wider context. There is a Wegner chair before it is assembled to show just how complex the parts and the joints and construction details of a chair can be and there is a clear panel with graphics to show how, for the first time in the museum, the chairs have been displayed by type or typology. So here the groups go from the Folding chairs and stool, to a group of Easy Chairs; then Windsor chairs (essentially chairs with vertical rails across the back) Chippendale chairs (with horizontal rails and often with arms) then a group derived more closely from the Shaker chairs, the distinct Chinese chair and steambent chairs, the Round arm chairs and Klismos chairs (of which The Chair by Wegner is a famous example) and finally Shell chairs. Galleries on the courtyard side of the range have also been rearranged. The chairs were originally there - either in a line along the inner wall or arranged on a deep plinth against the window wall - but a less densely-packed display has been moved to the centre of the main gallery so it is possible to see the upholstered chairs and the larger recliners and so on from all sides. The rooms have plain walls that were painted in soft greys or creams with all the woodwork simple colours - rather than picked out with any gilding - and furniture is relatively simple, set back against the walls, although they had a piano, at least one bookcase and a few small paintings and simple pottery. This is in marked contrast to photographs and paintings that survive of what must have been more typical middle-class homes in the city with carpets, heavy curtains, upholstered furniture and banks of paintings on the walls. The house was built in the 1630s - shortly after the area was established on land claimed from the sea - on the south side of the harbour and between the castle and the low-lying island of Amager. It was grand when built but had been much altered although panelling and plaster work from a remodelling of the house in the 18th century are good. Hammershøi rented the first floor, with three large rooms looking down onto the street but there were also two smaller rooms, one an entrance hall and the other called the courtyard room, to the rear and overlooking the narrow courtyard and there was also a small parlour and servants room and kitchen down a narrow range on one side of the courtyard and two further rooms, in a narrow range running back from the main staircase, along the other side of the courtyard with these smaller rooms linked by a gallery over the entrance arch. There were 11 rooms in all, on three sides of the yard, so not small by modern standards, and the main rooms had panelling below the dado rail and panelled doors and some good stoves. With large windows and light from the street side facing towards the harbour and from the windows onto the courtyard facing south, Hammershøi painted a large series of paintings of the interior with a careful staging of the relatively simple furniture but concentrating on recording the effects of light as it came through the tall sash windows and only a couple of the rooms had curtains or shutters. In some of the paintings there is a female figure, his wife or his young servant, who are given a sense of an inner calm - or maybe they were bored - but they are shown reading, arranging flowers or standing, back to the artist, waiting. One painting has the view across the courtyard to a woman leaning out of an open window to look down, presumably at someone below, but this is as close as the paintings get to any indication of a narrative story. The paintings also record the rooms at different times of day including the evening as clearly the fascination for Hammershøi was the movement of the sun through the day and the changing light. Ordrupgaard had an exceptionally good visual programme on screens through the gallery that related the paintings back to the specific room in the apartment and analysed the way the light was shown falling across the floors to record different times of the day. The exhibition and the paintings also showed just how good and how important natural light is in these Copenhagen apartments … then and now.